One of the more deplorable Saint Patrick’s Day traditions is dying beer green. If you absolutely need to drink something with a green hue, here are seven better options. These refreshing green tea-based mocktails would also be great spiked with gin. 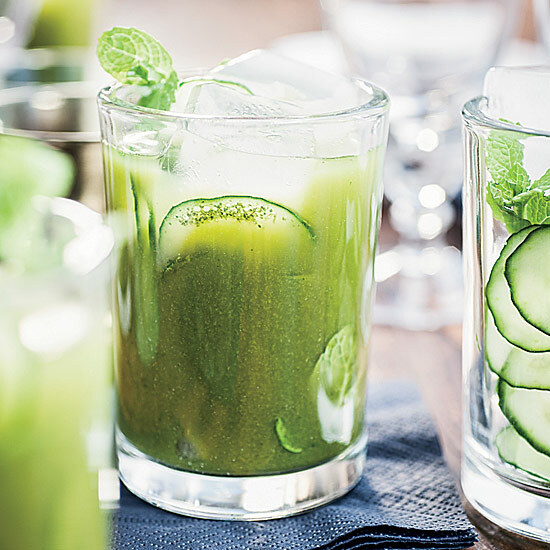 This sweet and savory tequila cocktails is flavored with fresh basil and garnished with cooling cucumber. Perfect for those celebrating St. Patty’s Day in warmer climates, this zingy blender-whirred frappé is cold, frothy and refreshing. Sweet, melony Midori gives this cocktail its vibrant green color. A splash of soda water makes these tart slushies pleasantly bubbly. A little rum would turn them into terrific cocktails. Mixing honeydew juice with fizzy Italian Moscato makes a delicious cocktail—especially with melon balls and chewy tapioca pearls. Freshly juiced celery and lime juice give this bright, fresh Southside riff a gorgeous color.